Beautiful Views! Amazing back deck on seasonal Creek-Beautifully treed area! 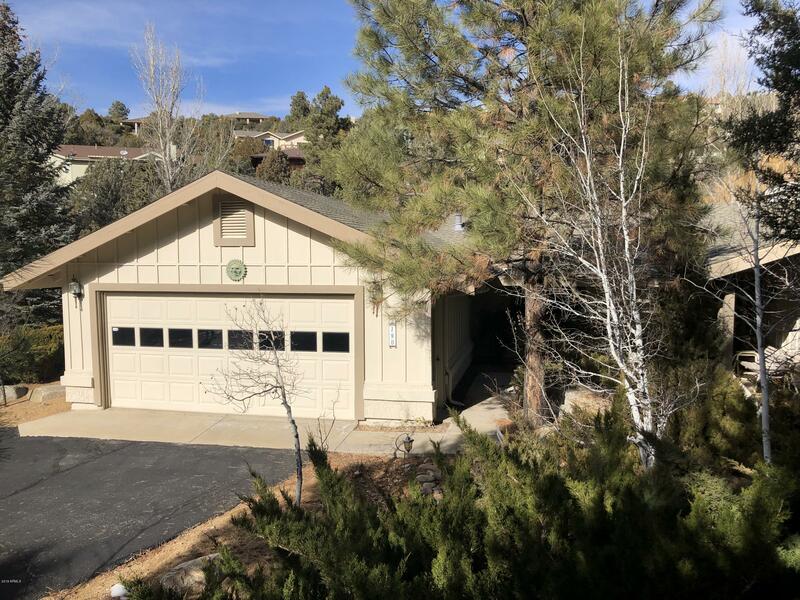 Great location in Hidden Valley Ranch just minutes from downtown Prescott. This 4 bedroom home has a double master split plan with 2 additional bedrooms and 3 full baths. Immaculate and very welcoming floor plan. Large master bedroom with plenty of closet space and a private entry to the back patio. Newly REMODELED master bath with beautiful granite, plank style flooring, tiled shower and surrounds, and separate tub. Game room with pool table for entertaining your guests. Kitchen features breakfast bar, large pantry and stainless appliances - great bay window overlooking the front entryway. Formal dining area adjacent to kitchen. Home is fully furnished- don't miss out on this amazing opportunity- See this house!